Let me show you some MAGIC! see I can swing it to the left and swing to the right.It’s so easy and I can have it both ways. 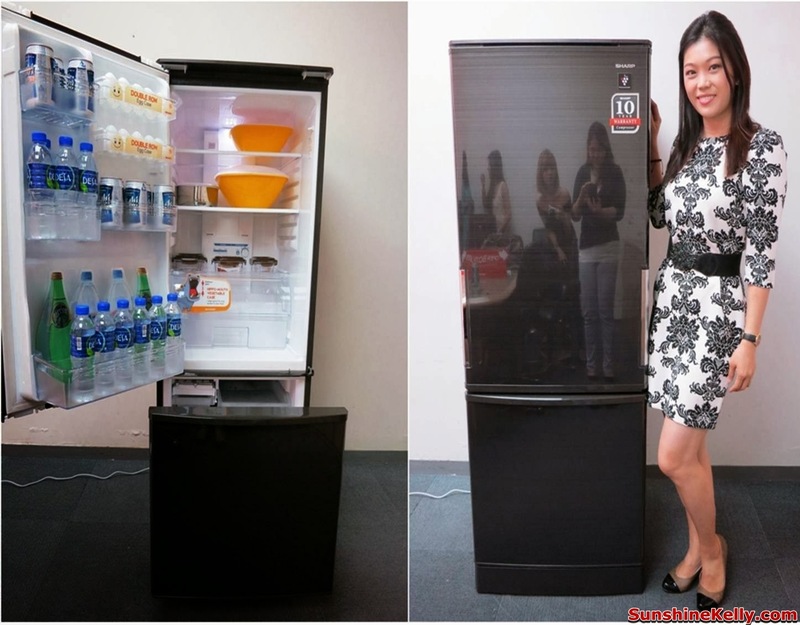 Few weeks, ago I was introduced and tested the SHARP Dual Swing Door Refrigerator with Plasmacluster. This is a very versatile and sleek looking fridge that equipped with SHARP advanced Plasmacluster Ion Technology to maintain food freshness and keep bacteria free. 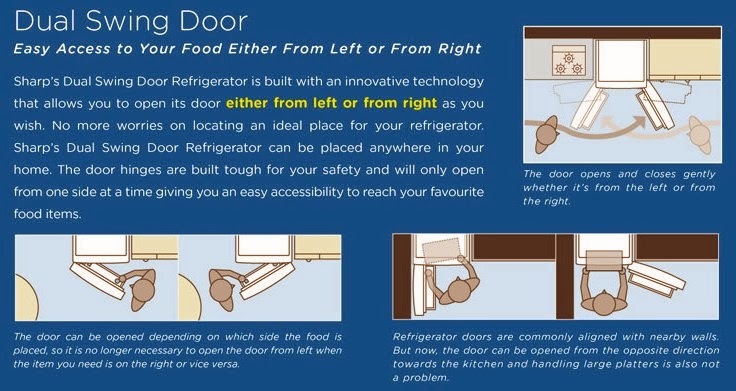 This Dual Swing Door feature is so cool,I can open the fridge door either from left or from right as I wish. I don’t have to worry whenever I wantto reorganize my kitchen layout or maybe move to another house. Because this fridge will definitely able to fit in any corner, left or right and even in the center. You might be wondering about the fridge door durability. Well,I have the same question running in my head too when I first saw this feature. But after checking and watching the test on the fridge door done in Japan by opening and closing the door for 200,000 times in 6 days I am convinced that the fridge door is durable and will last about 10 years at least. By the way, the door hinges are built tough and safety is ensured, whereby we can only open from one side at a time. The advanced Plasmascluster Ion Technology enhances food freshness by eliminating 99% bacteria and 97% mold. My vegetables, fruits and food will last longer and taste fresher. For example, if we stored bread in the fridge for 10days, the bread in the fridge without Plasmacluster will have moldbut the fridge with Plasmacluster there is no mold on the bread and it’s still fresh. The Dual Swing Door Refrigerator comes with smart design, theOne Action Drawer freezer compartment at the bottom of the refrigerator makes keeping and taking things easy and fast. I just need one step to draw out the freezer compartment and I can access to the items that I want or store my frozen food, ice, ice cream and etc. By the way, the freezer case is removable for easy cleaning. Usually we use the fridge compartment about 70% more often that the freezer is just about 30%. By placing the fridge compartment on the top we can keep or take food with natural posture and ease the burden of frequent bending. You will not have headache organizing parties at home for any occasions because this refrigerator has 7 levels adjustable shelves. It can store large or small items, even birthday cakes, turkey, big salad bowl and others.Though the fridge is compact but it can store lots of items and look organize. For those who love vegetables and fruits I am sure you find the Hippo-mouth Vegetable Case a darling. It has 24cm mouth opening which allows you to keep and take big cabbage, cauliflower, pumpkin or even watermelon without hassle. At the same time the Plasmacluster Technology will maintain the vegetable freshness. Just pull in and out the compartment is so convenient. You can check out my Vlog about how I did it. One more smart design is the Kangaroo Pocket which is the dual row storage for large and small bottles. The 1 litre mineral water or juices will be at the back row and can drinks in front. 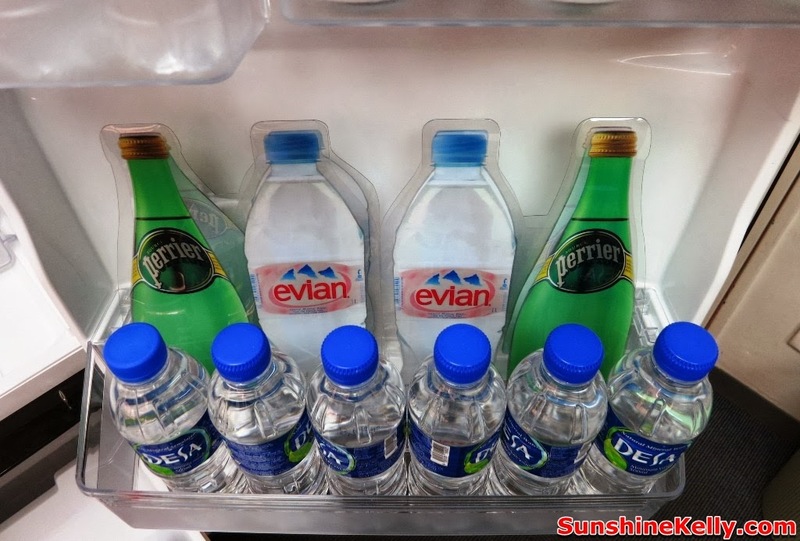 This will make the fridge more organize, easy access to the items we wanted and also space saving. When you are going for vacation or travelling just turn on the ECO Mode, it will help to save energy consumption by 10%. Sometimes we forget to close the refrigerator or freezer door or did not close it properly, it happens to me when I am about to load or take something from the fridge and my phone rings, that its I will forget about my fridge. However, this refrigerator comes with door alarm whenever the fridge or freezer door is left opened for more than a minute an alarm sound will alert until we close the door properly. Overall, I like SHARP Dual Swing Door Refrigerator because of its special Dual Swing Door and smart design features. It allows me the flexibility to locate my fridge at any area and also it fits into any kitchen layout whether it is at the left or right corner or in the center. 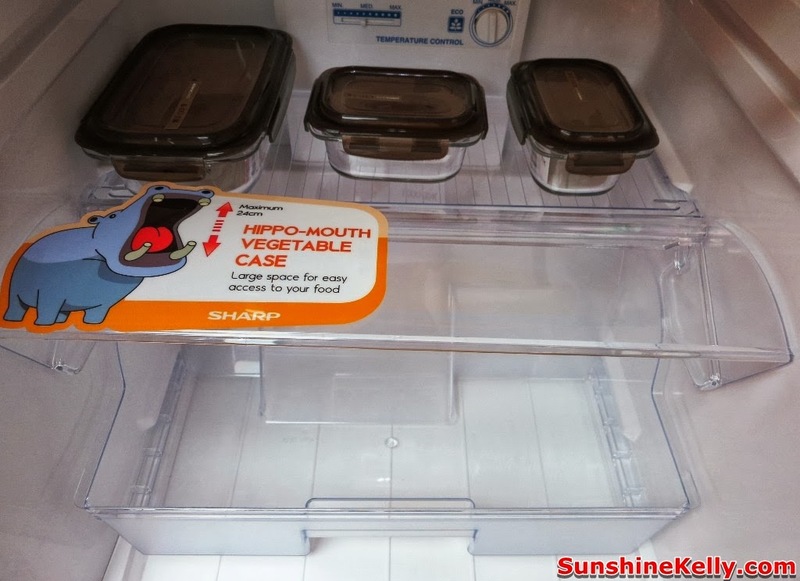 Keep my food fresh, free from bacteria and organize. 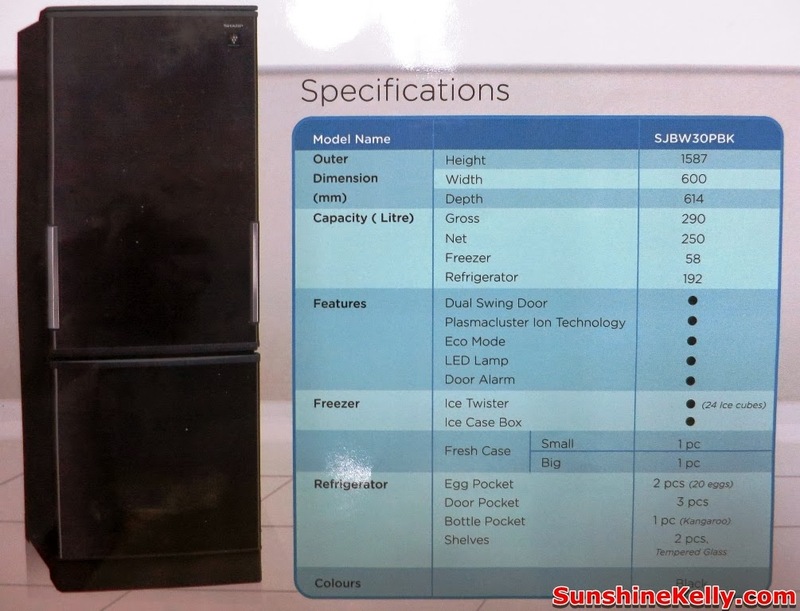 After reading this post we came to know that SHARP Dual Swing Door Refrigerator with Plasmacluster keeps foods fresh and free from bacteria and organize. Thanks to share this informative post. SHARP Dual Swing Door Refrigerator with Plasmacluster is really a flexible as well as smooth searching refrigerator which outfitted to keep meals quality as well as maintain germs free of charge. This is really a nice product. Thanks for sharing this informative post.